The simulated daylight comes from the electroluminescent sheets. 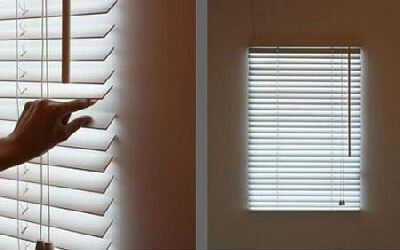 The beauty of the bright blind is that you can control the brightness just like the same methods you control the light from traditional blinds. You can’t simply change a location of a fixed window but you can hang the bright blind anywhere you want, just like changing the location of window. If you think the day time is too short for you, then you can continue your “day time” at night as long as you on the bright blind because it just like the daylight is coming from the sun. This entry was posted on Thursday, November 29th, 2007 at 10:01 pm	and is filed under Funny Junk. You can leave a response, or trackback from your own site.